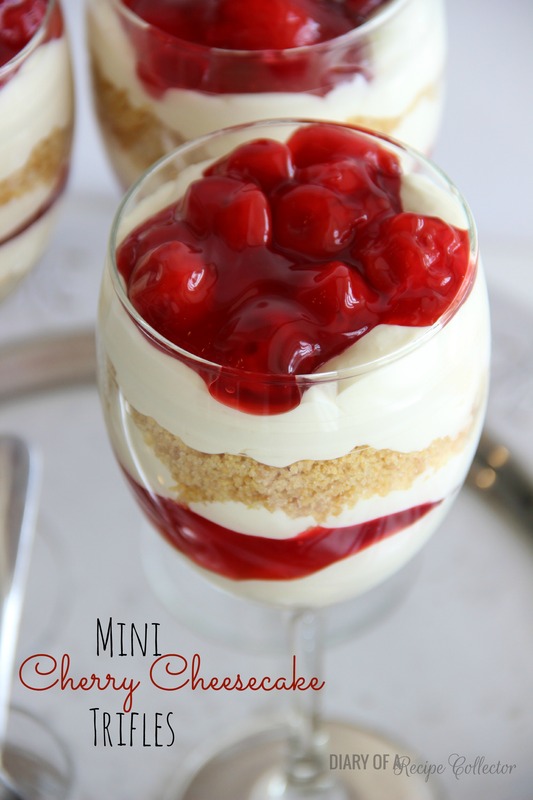 Mini Cherry Cheesecake Trifles – A wonderful cheesecake pudding layered with cherry pie filling and crushed graham crackers make a wonderful dessert! These little desserts look so fancy, but they are so easy! I love that! It makes you look like you worked so hard, but you know you really didn’t put that much effort into these. So I made these and put them in the refrigerator for after supper. You should have been at my house to see the reactions I got as the refrigerator door was opened throughout the afternoon. Should I say they were excited? Slightly. This is a recipe that I normally would make in a 13 x 9 pan. But I thought, wouldn’t it be fun to make it fancy? And the kids think they are so grown up when they get to eat anything out of a glass, especially a fancy one! You could even make these for a backyard BBQ party or pool party using clear plastic cups. The recipe made about 5 generous size portions. You could definitely make it go further using smaller cups. 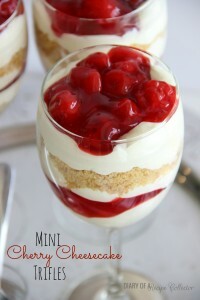 No bake individual dessert cups are a perfect warm weather treat! In a large bowl, beat cream cheese and sweetened condensed milk, and remaining ¼ cup of sugar. Add and stir in cool whip and lemon juice. *This can be made in a 13 x 9 dish. You will need 2 cans of cherry pie filling. You will also need to mix the graham crackers with about 2 tbsp of melted butter and press the graham crackers into bottom of the pan and let it chill while you make the filling. These look like an amazing summer recipe!! My kids always love eating desserts in glasses or jars too!!! Wow, I guess your kids were excited–these look amazing. Beautiful. Love that you made these in pretty glasses! Sounds delish! Dude, Jaren. These look freaking AMAZING!!! Your photography is fabulous! Pinned! Thanks Jen! That means a lot!! how many will the recipe yield ? Hi Deb! If you would like to make individual portions like in the photo, this recipe will make 5 GENEROUS portions. Often times though, I will make this in a 13 x 9 pan and use 2 cans of pie filling for the top. Hi! Making these now… was the rest of the sugar supposed to go into the cheesecake batter? Yes Ashley! Thanks so much for catching that! I corrected it:) Hope you love it! We sure do! Hi Jamila! I usually let them chill for about 2 hours. Thanks! I’m trying to cut the sugar down. I use Truvia instead of regular sugar but what can I use in place of sweetened condensed milk to cut the sugar? Hi Danielle! 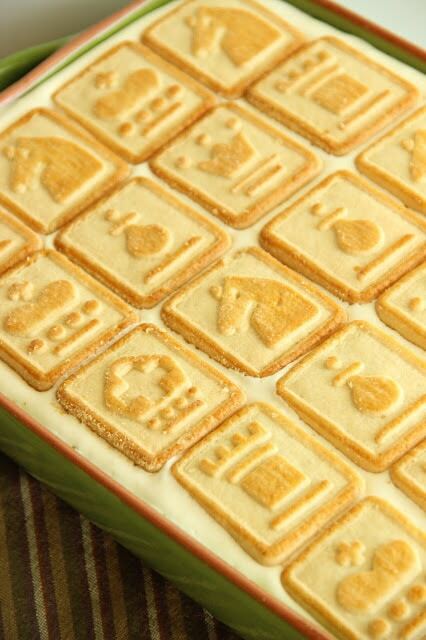 I think this is a great make-ahead dessert. I don’t find the graham crackers get soggy. I’ve also made it in a 13 x 9 pan as noted in the recipe. Thanks for visiting! Hi Brenda! It is one (1)- 8 ounce container. Gracias por su visita!!! I have made these twice using the above recipe. I use 9 oz. solo cups to make them, and it yields 15 servings. Wonderful idea for a party, church function and fund raiser. I used them as a fund raiser at church and they went fast. Works well as individual desserts. Hi! 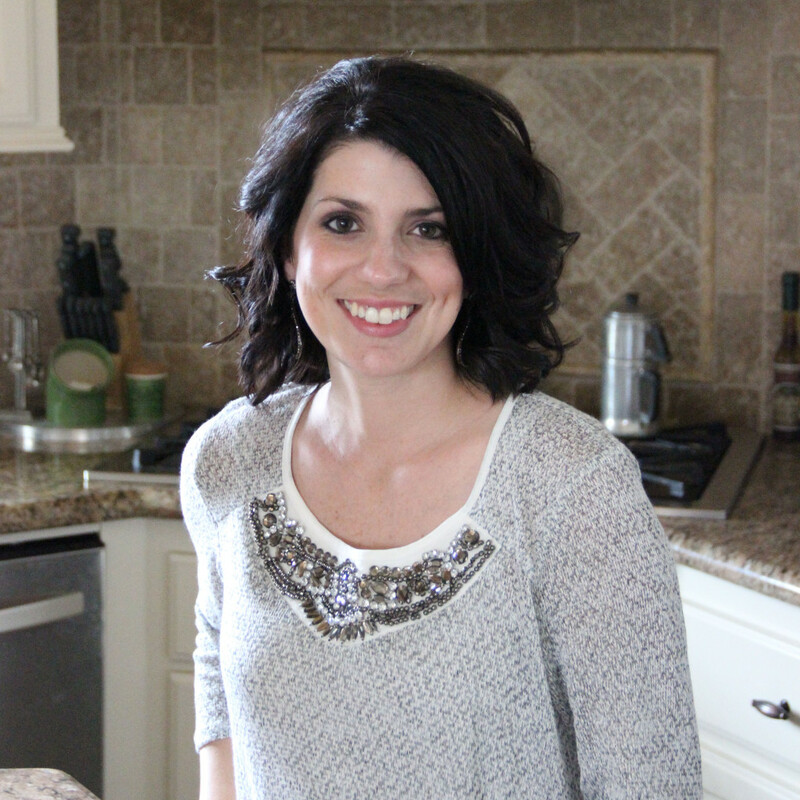 I am so glad to hear this is a recipe that has worked well for you!! We love this one too! When I make it in a 13 x 9, I usually just use the 2 tbsp. But if you find the crumbs don’t get moistened enough, you can add another 1 to 2 tbsp. Thanks for visiting Sharon! 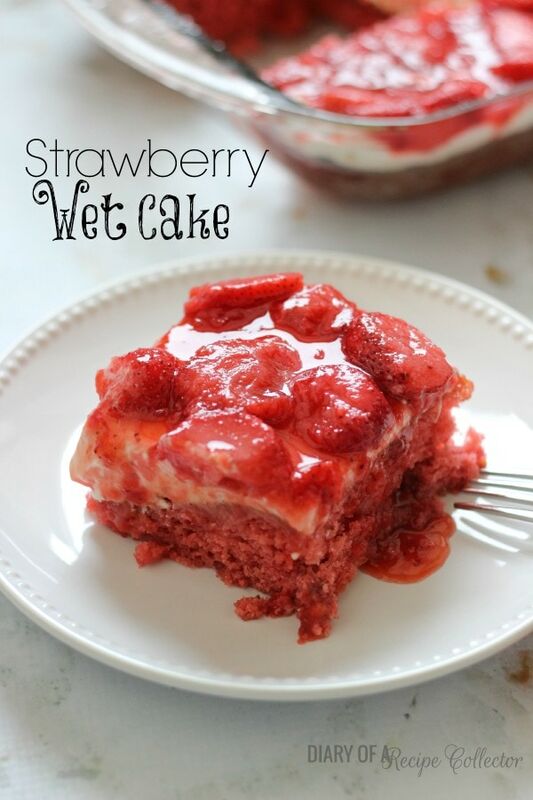 I am going to be making these for a dessert auction….slightly tweaked but glad I stumbled upon this recipe. I plan on baking the graham crackers first, adding vanilla to the filling, and making a sour cream almond topping as an additional layer. Fingers crossed it doesn’t completely derail the original recipe!! Thanks for this base recipe!! They are beautiful! That sounds like it will turn out great Katie! Thanks for visiting!